Creating an inventory of soon-to-expire affordable housing projects and ordinances to protect residents were among the suggestions generated at workshops Wednesday hosted by the City Council’s Smart Growth and Land Use Committee. 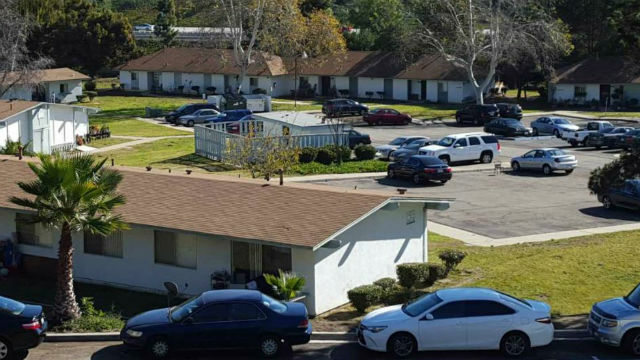 Committee Chairwoman Georgette Gomez said the workshops stemmed from the City Council’s controversial vote last month to allow the demolition of the 322-unit Penasquitos Village complex to make way for a larger building with fewer affordable units. “We lost over 200 affordable housing units from the market, so this is something that we need to wrap our minds around — because that cannot happen. And if it does ,we need to make sure we’re replacing them somewhere else immediately,” she said. More than 1,300 of San Diego’s federally subsidized affordable homes were lost between 1995 to 2016, according to a city report, usually because property owners chose not to renew federal rental assistance contracts. Another 1,300 homes are at risk of converting to market rate in the next five years. Stephen Russell, executive director of the San Diego Housing Federation, presented the committee a handful of recommendations to maintain rental housing stock for low-income families. Preserving existing units is cheaper than building new housing, he said. Russell recommended creating a city preservation coordinator position to maintain an affordable housing database and monitor affordable credits at risk of expiring. The coordinator would also form relationships with property owners to determine which ones are more likely to pursue market rate pricing instead of renewing subsidized credits. Russell said owners should also be provided more technical assistance regarding affordable housing regulations and the city should divert additional funding toward preserving affordable housing units. Many speakers who addressed the committee recounted their experiences being evicted from units with expiring affordable housing credits; some mentioned foregoing food or medicine to pay for rent. Committee consultant Keryna Johnson presented strategies to avoid residential displacement, which is when a household is forced to relocate because of conditions beyond its control. Such conditions may include increasing rent prices, which can lead to homelessness. Johnson proposed protecting Section 8 residents under the umbrella of other tenant protection ordinances. She also suggested a Section 8 anti- discrimination ordinance to make it unlawful for landlords to turn away voucher holders. Johnson also recommended drafting an ordinance that would give apartment residents first right of refusal when their homes are converted to condominiums, and which would also require landlords to compensate displaced residents. “Preventing resident displacement can mean ensuring they have a cushion to transition to a new home. If we don’t prevent it, that can put the burden on the city and our neighborhoods,” Johnson said. Laws requiring that cities provide legal counsel to tenants experiencing no-fault eviction have also proven cost-effective for municipalities that would otherwise spend money combating homelessness, Johnson said. No action was taken during Wednesday’s meeting. The committee will continue discussion of affordable housing in May.